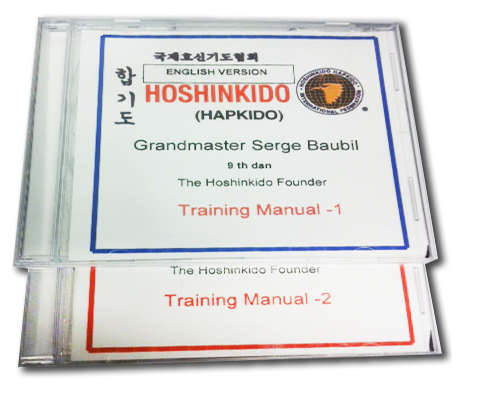 1- Training Manual Volume 1 and Volume 2. 2 – GUP color System (Yellow stripe and Yellow belt) (Orange stripe and Orange belt) (Green stripe and Green belt) etc. 2 levels of color belt on each DVD. * The manuals and DVD are reserved for the federation student members and affiliated schools only. * Please note that the International Hoshinkido Federation headquarters is also a Training Center.